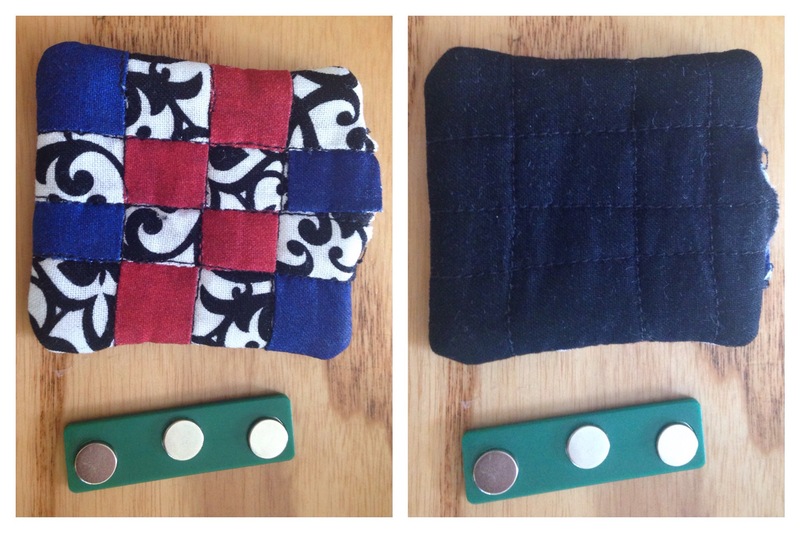 I was having fun searching the DYI section of Pinterest and I found this cute quilted magnet. I knew it would be a perfect use for some magnetic name tag pieces I found. If you don’t have strong magnet you may want to skip the batting. I figured it would be a nice quick little project, so that’s how I started my afternoon. 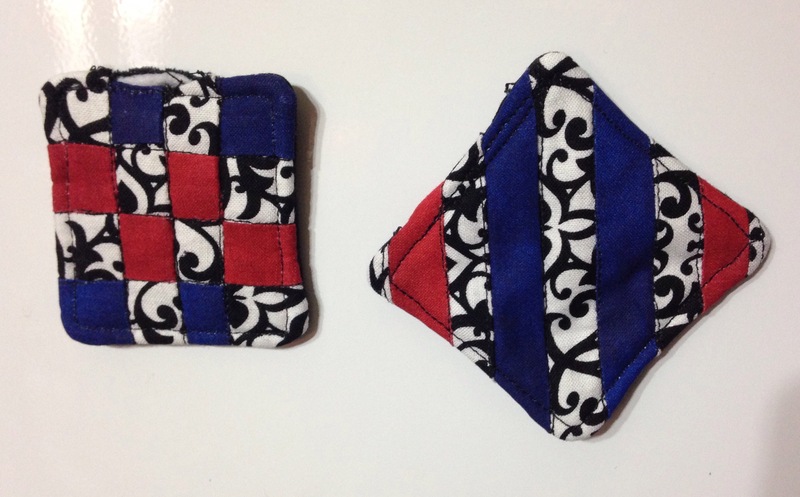 I made two, for both I started by sewing some scraps together. 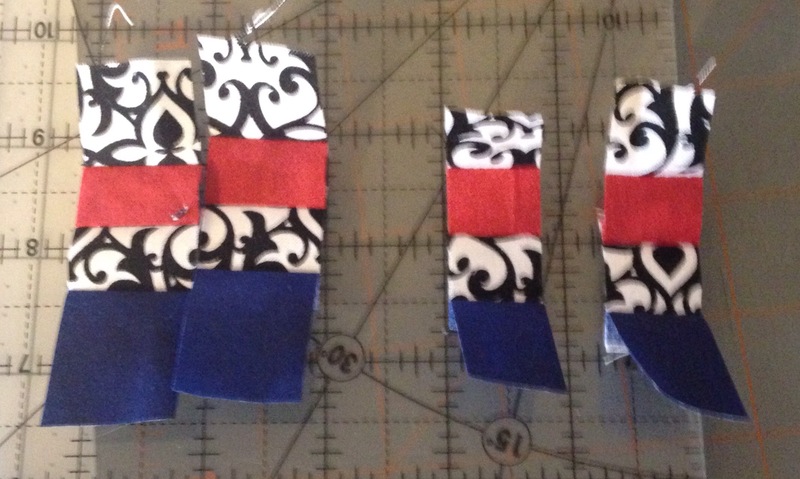 For the first one I cut 4 strips, two slightly larger than the other (next time I’ll make them the same size). 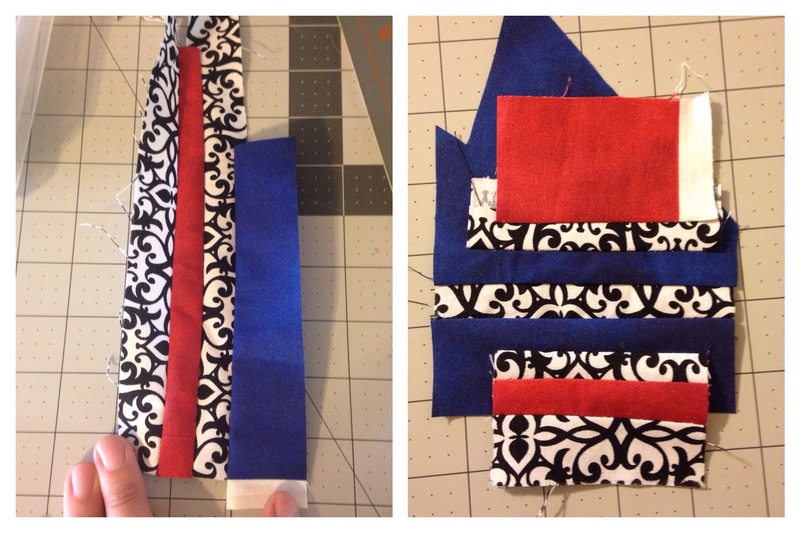 After cutting I sewed the pieces together. Finally I cut them to size, I think 3×3 squares are perfect! 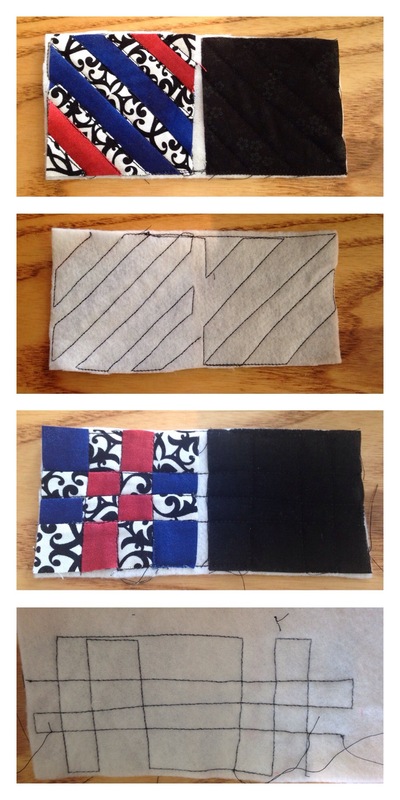 I cut a black backing 3×3 and placed the front and back on a piece of scrap batting. Leave a small gap between the two than quilt the two pieces. Cut around the sides to remove any extra batting, don’t cut between the two pieces. 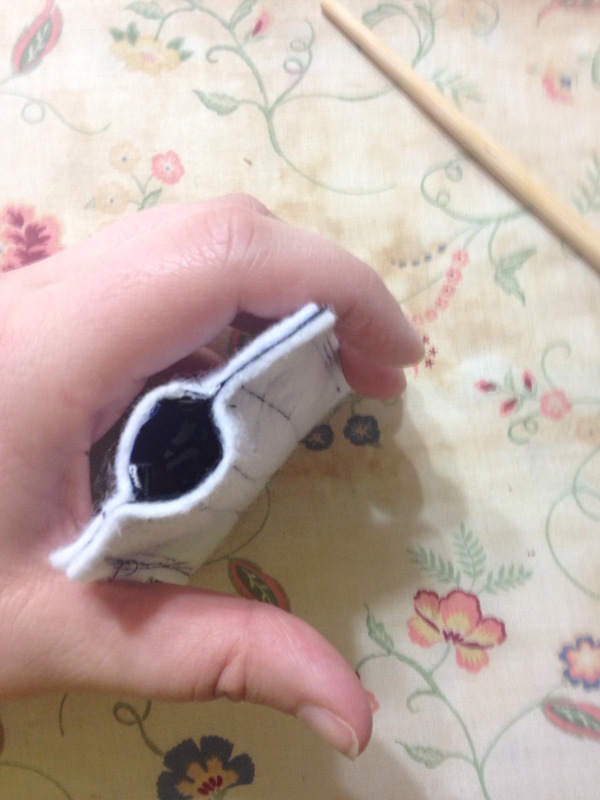 Fold in half than sew around leaving a gap to turn inside out. Turn inside out, this is yet another great use for a chopstick. Iron well, making sure the open end is folded in good. Place the magnet inside and see around all 4 sides, depending on how big the magnet is, you may need to re-adjust the magnet on each side. 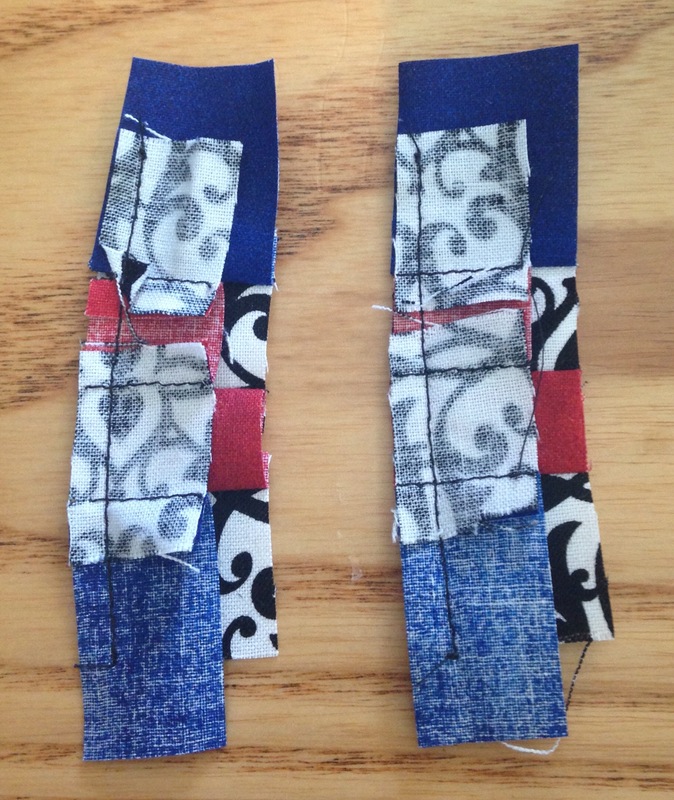 I love how they turned out and it’s a great way to use up some scraps.